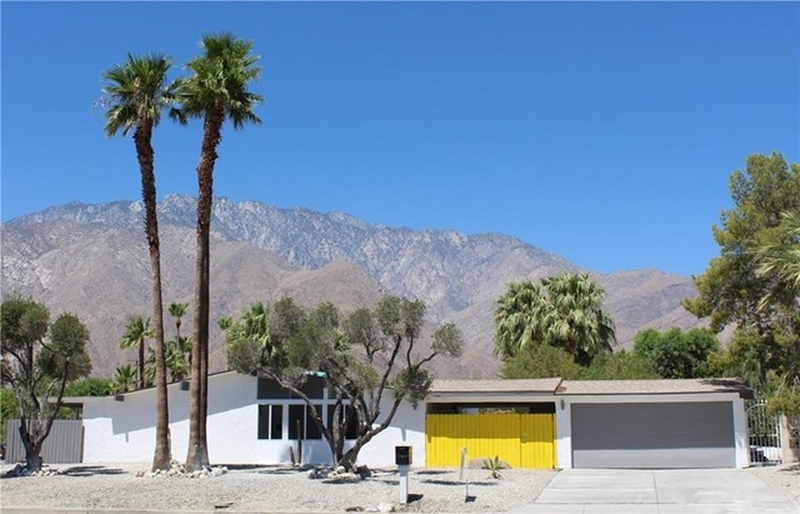 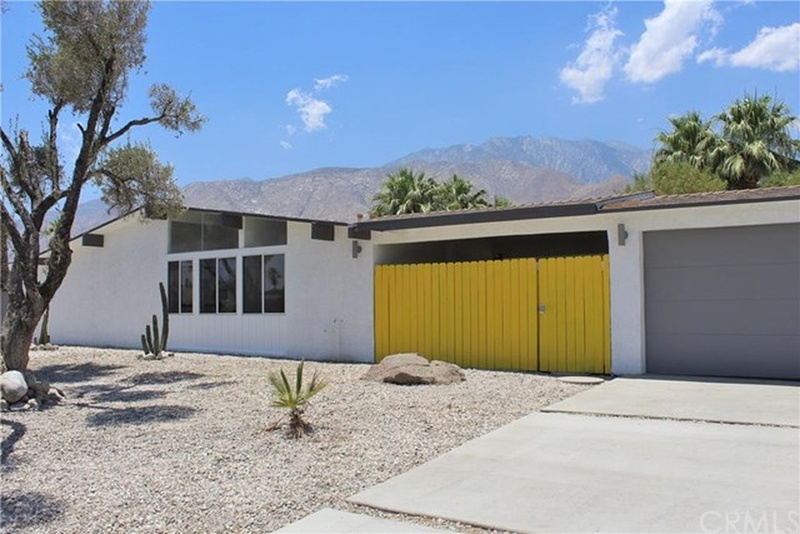 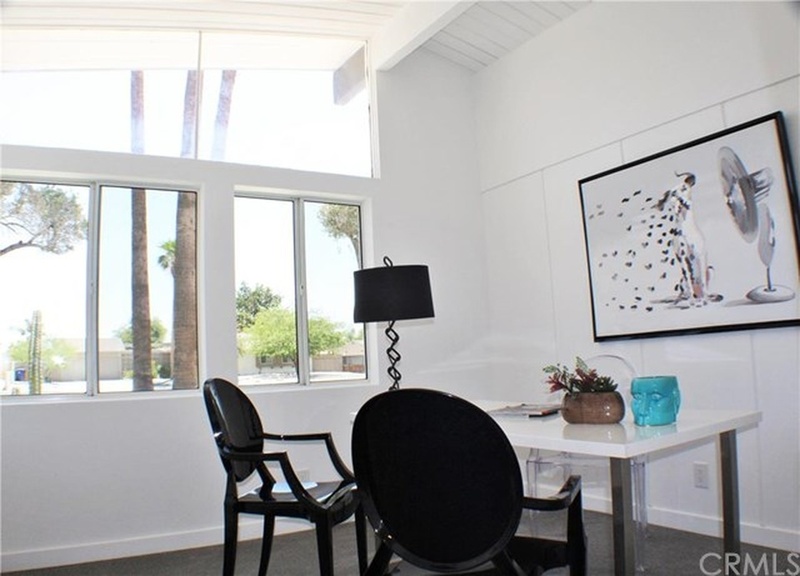 Last featured on the blog in September as a fixer/restoration opportunity is this 1959 Palmer & Krisel-designed home built by the Alexander Construction Company in Palm Springs’ Racquet Club Road Estates. 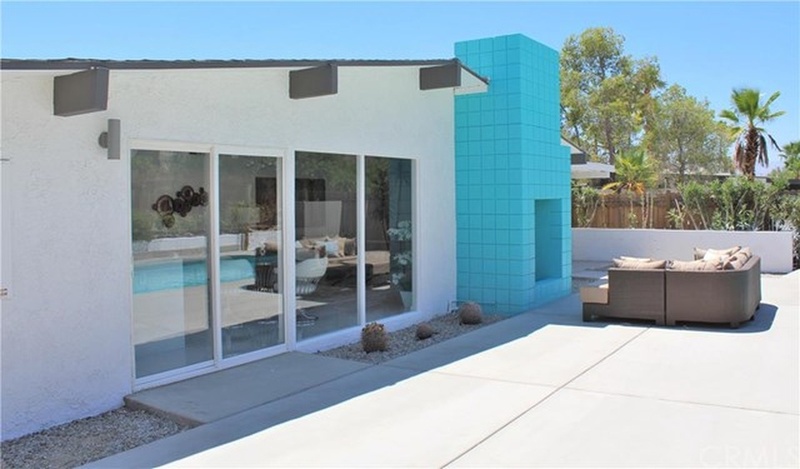 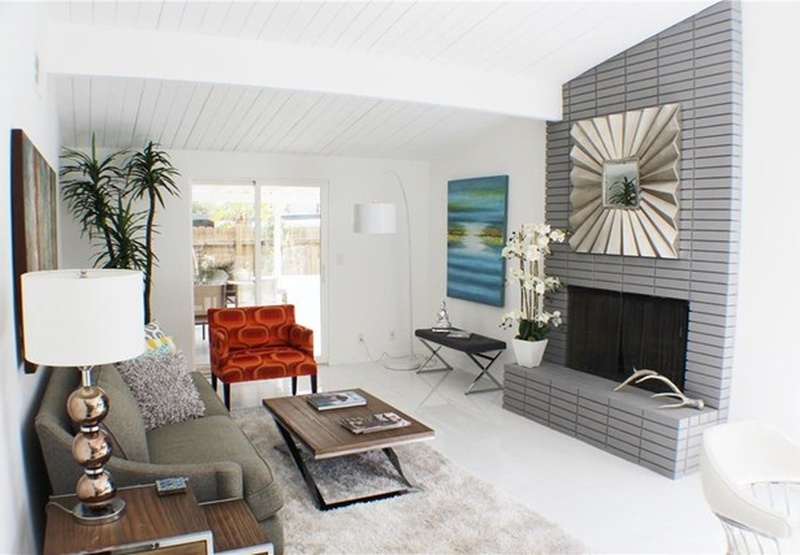 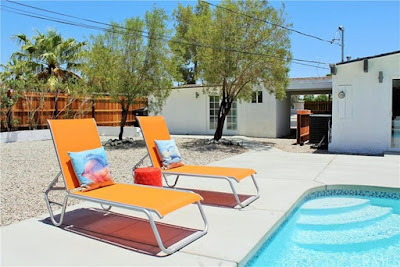 Last selling for $385,000, this three bedroom, three bathroom 1,225 square-foot home with pool and two-car garage on a 10,000 square-foot lot has been completely renovated and carries an asking price of $599,900. 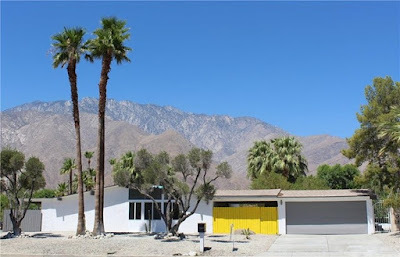 The front yard has been cleaned up, pruned and thinned to allow the home to be seen better from the street. A new concrete driveway has been poured, replacing the crumbling asphalt driveway that was once in place, and the exterior of the home has received a bright white paint finish with colorful yellow accents. The carport which had once been converted into a casita has been converted to a garage with casita. 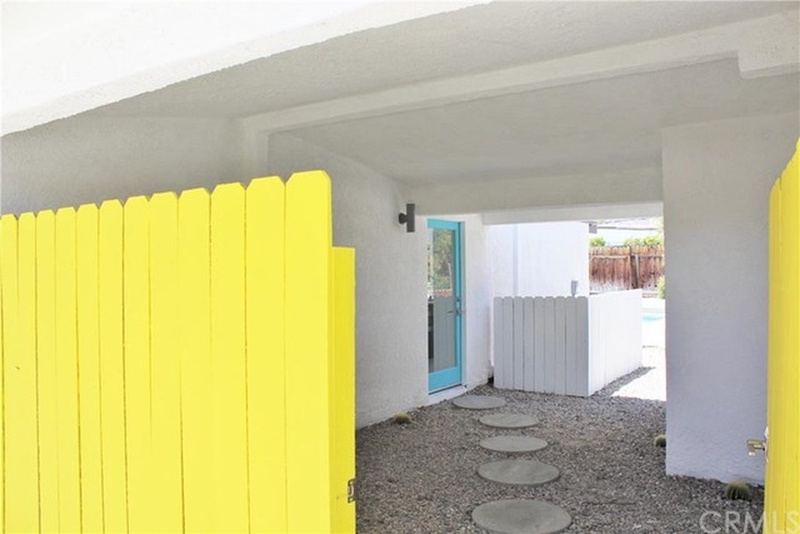 The entry to the home sits in its original location, in a gravel-lined courtyard between the garage and home. 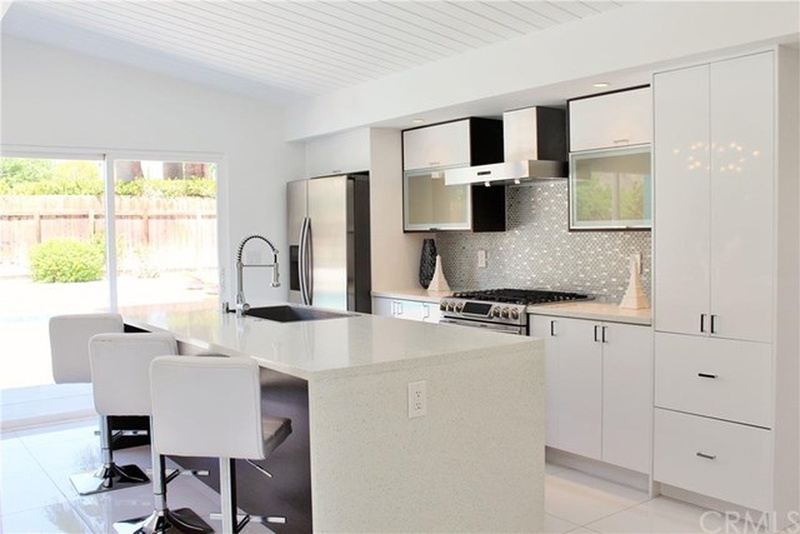 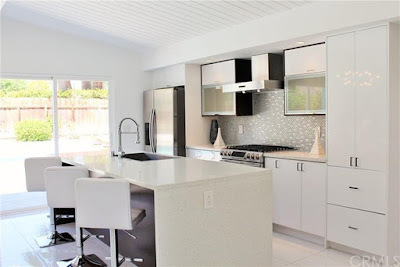 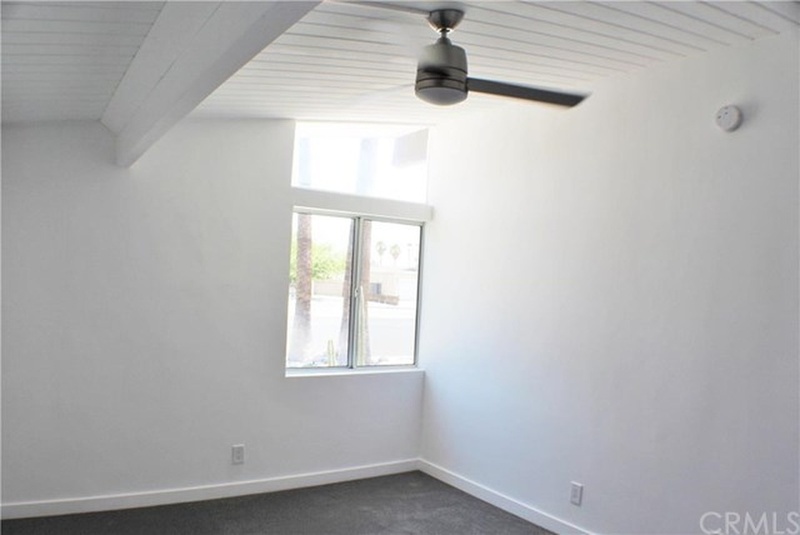 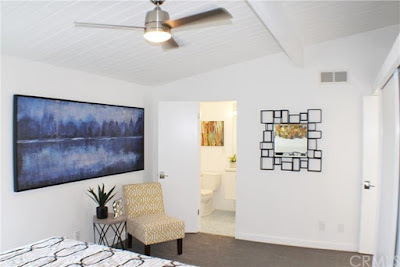 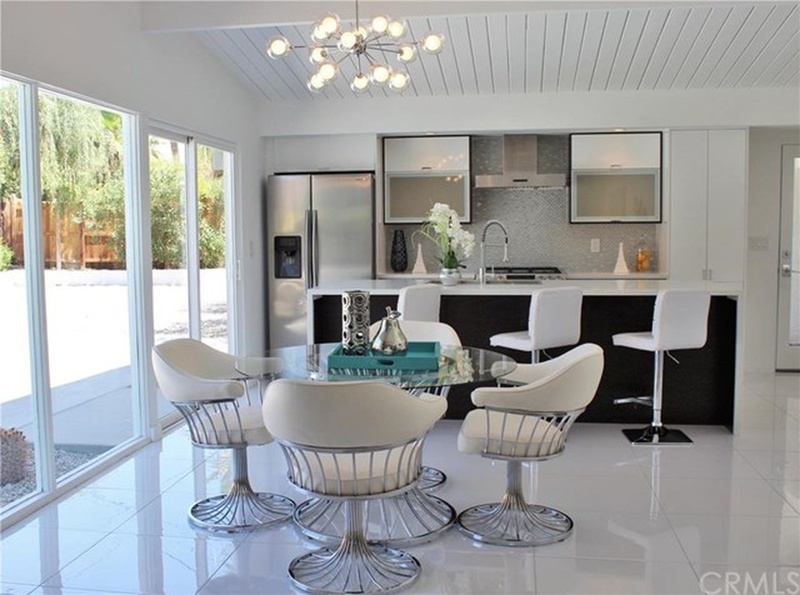 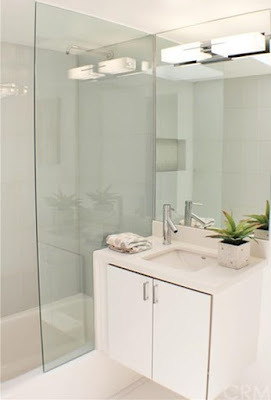 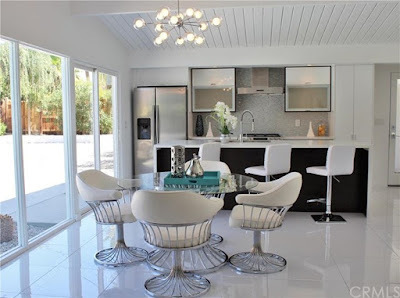 Inside, the kitchen, living and dining areas overlooking the backyard have all received a bright white makeover, with white walls, ceiling and new 24” porcelain tile. 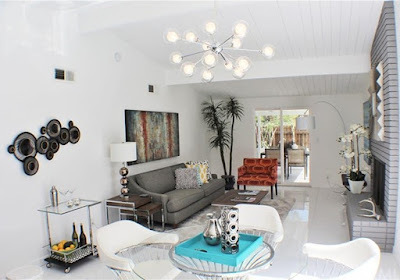 The fireplace has been painted a simple clean grey color, and a modern starburst light fixture hangs over the dining room. 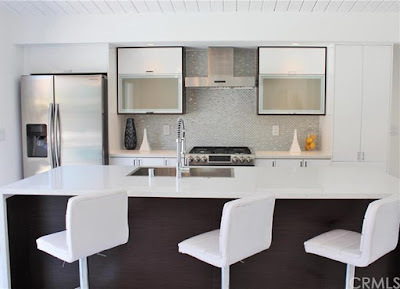 The kitchen has received all new cabinetry, counters and appliances, with a central waterfall island. 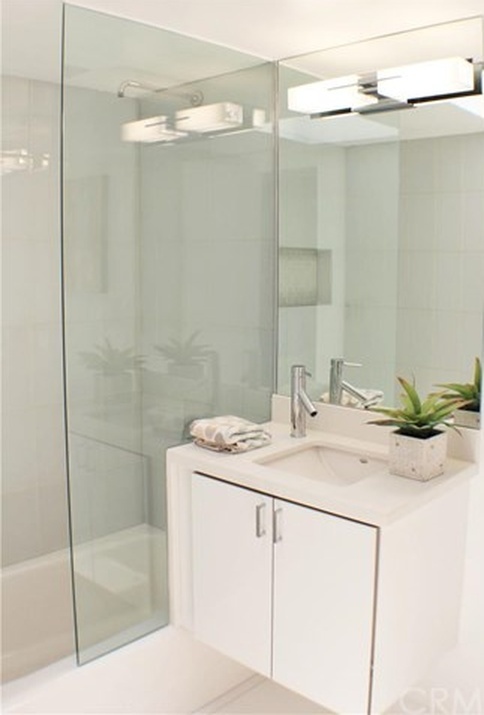 The cabinetry is hi-gloss white, with dark accents, stainless steel appliances and white composite counters. 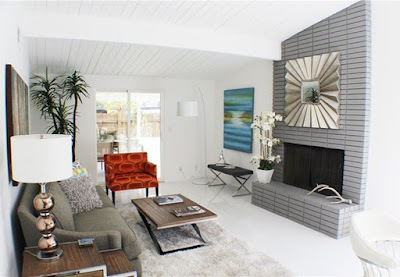 A grey mosaic tile backsplash accents the room, and nicely compliments the fireplace. The bedrooms have all been cleaned up and restored back to their modernist origins, with new grey carpet and solid panel closet doors. 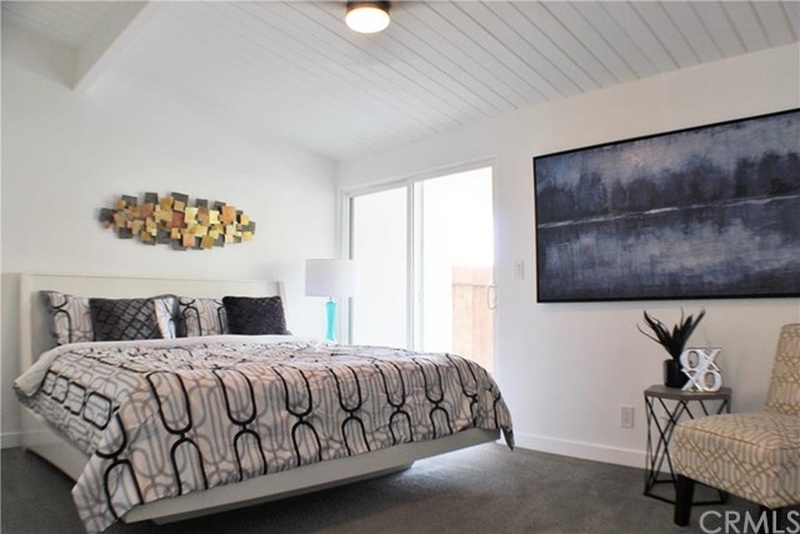 The two guest rooms sits at the front of the home and maintain their original clerestory windows, while the master bedroom sits at the rear corner of the home accessing a private covered side yard patio. Both bathrooms have been updated with floating vanities, new fixtures and new tilework. 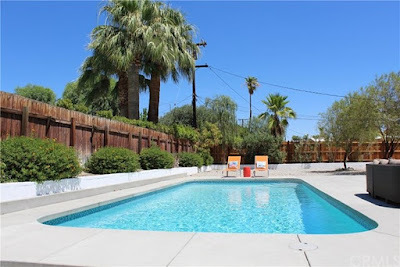 The backyard is anchored by the original 15’ x 30’ Alexander swimming pool, which has recently received new plaster and mosaic tile accents. 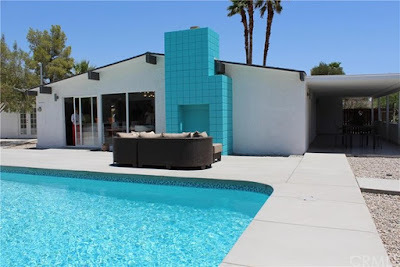 A concrete patio surrounds the pool area, and a outdoor fireplace is attached to the existing chimney. 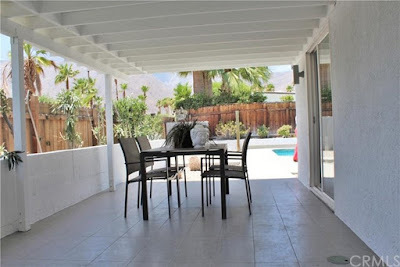 No photos of the garage casita were provided, which sits at the north end of the backyard. This home is a great example of a modernist restoration on a property which had been taken far away from its midcentury Krisel origins, and shows that any property can be brought back to life.